A 30-40 year old man, a carrier of a pathogenic MYBPC3 mutation which was found during familial cascade screening. 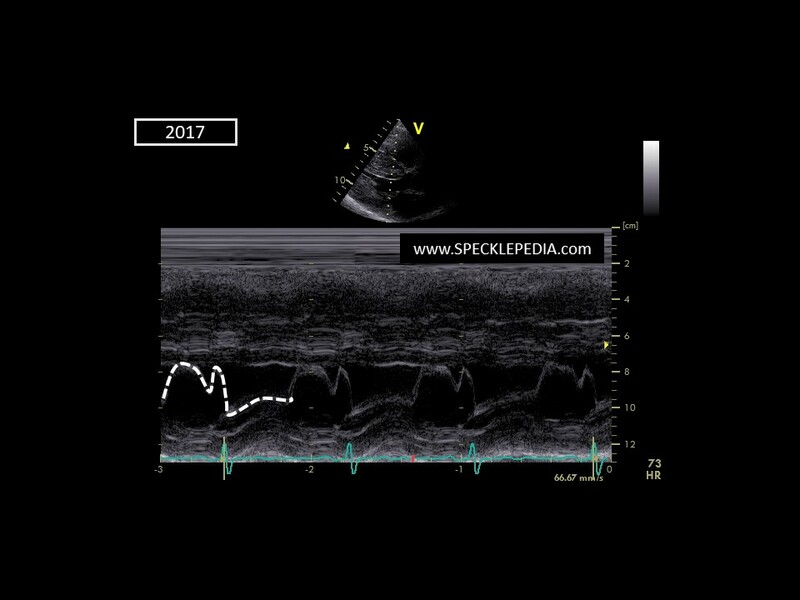 The following images show the progression of this disease during follow up (on examinations at 2010 and 2017). He has been free of cardiac complaints. 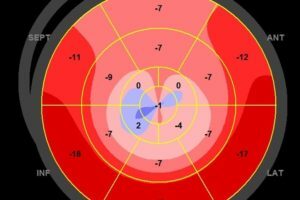 The ECG at presentation was unremarkable, with borderline LVH voltage criteria and normal repolarisations. 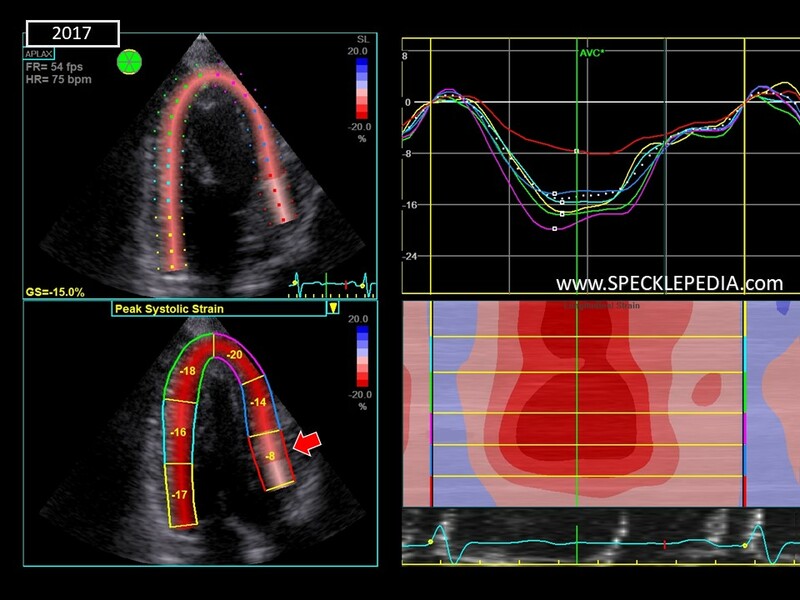 During follow up LVH criteria were met and the T-waves in lead V4 and V5 became negative. 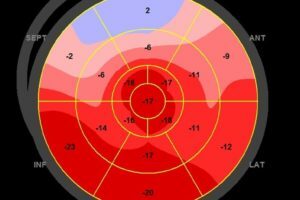 The initial echocardiogram was borderline (ab)normal. 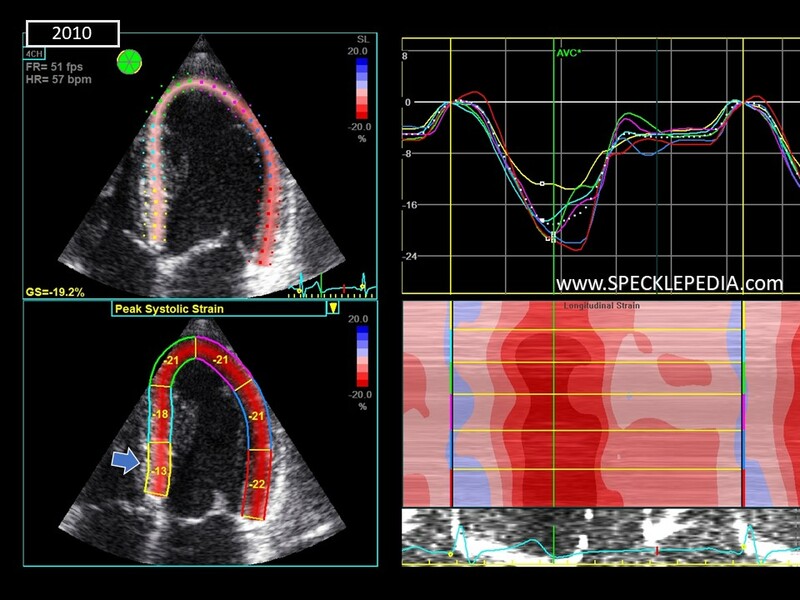 The maximal septal thickness was 14mm. Valvular disease was excluded. 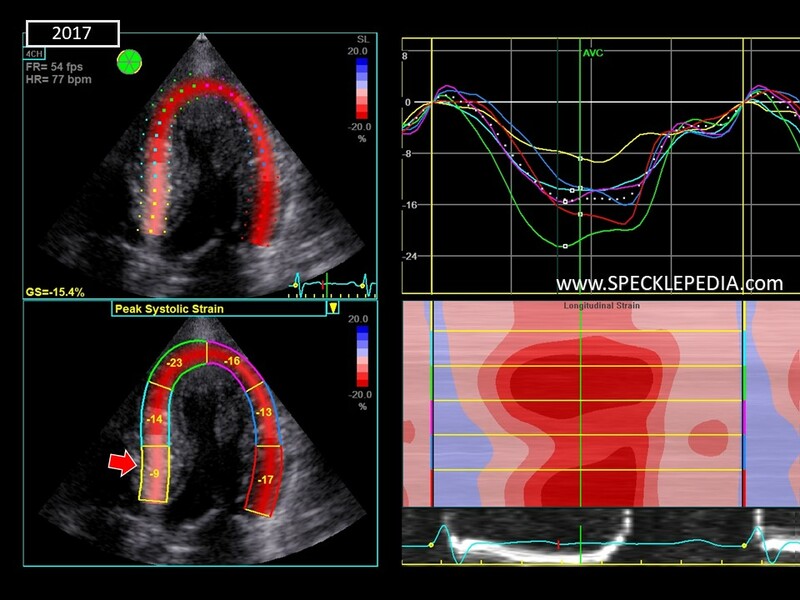 The systolic function was normal. 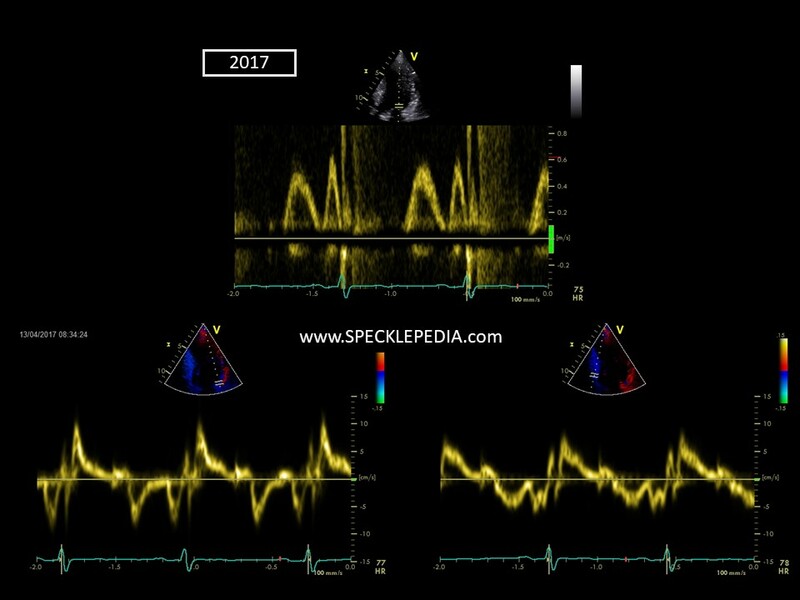 Diastolic parameters were normal for his age. The LA was not dilated. There was no sign of a SAM nor LVOT obstruction. 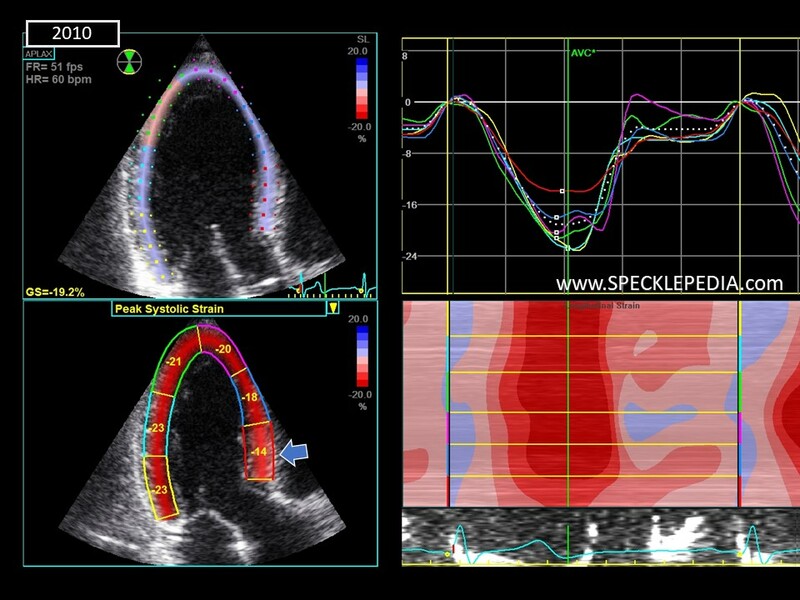 The 2D strain derived deformation imaging results of the 2010 echocardiogram are shown below. 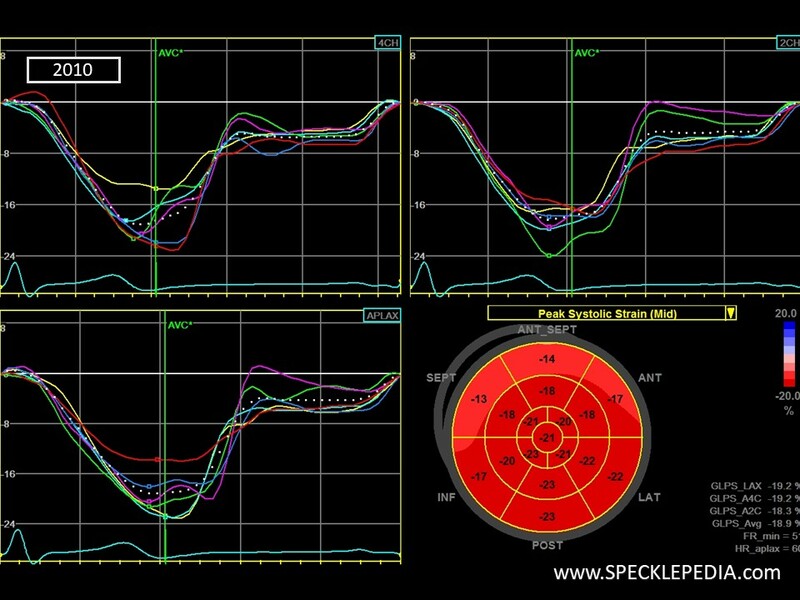 Not the reduction in peak systolic strain in hthe basal segment of the infero- and anteroseptal segment. 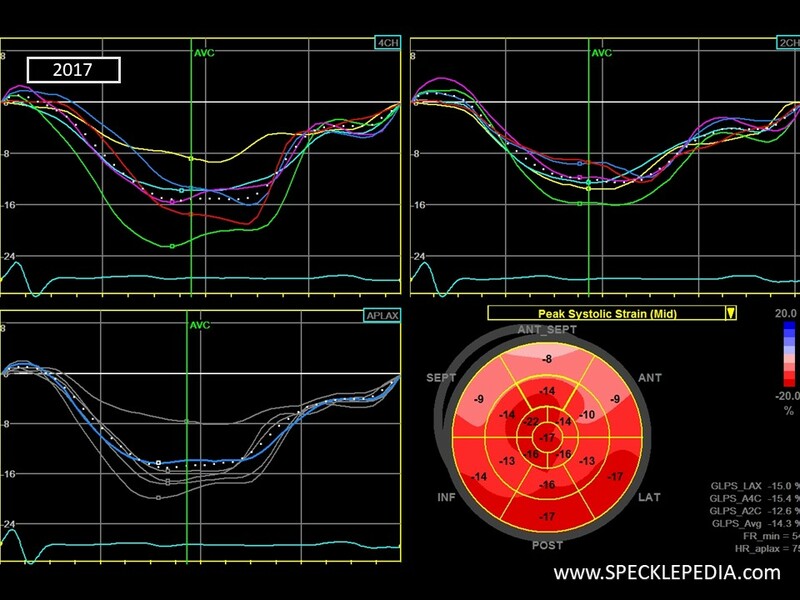 The absolute peak systolic strain value is reduced, but does not fulfill HCM diagnostic values, nor is there a pronounced amount of post systolic shortening. 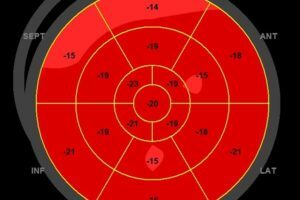 The bulls-eye overview could also fit in a patient with LVH due to hypertension (see separate cases). 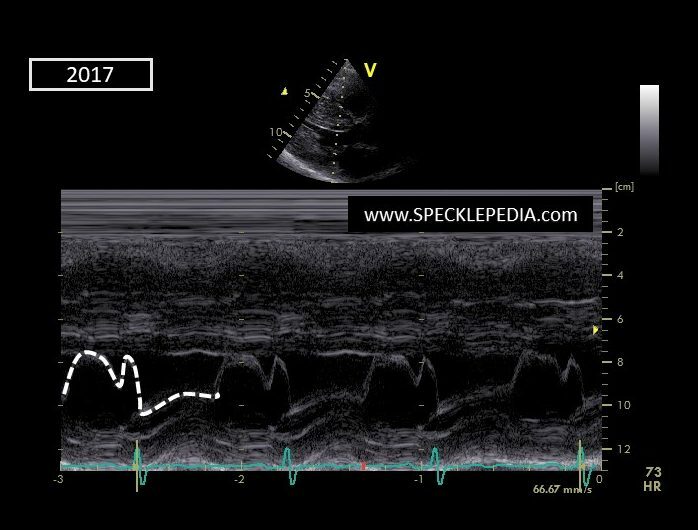 Since hypertension has never been documented in this young patient, the reduced strain values are very likely due to HCM. The GLS of -18.9% is low-normal. During follow up, the strain values in the basal segments of the infero and anteroseptal wall (indicated by the red arrows in the figures below) changed significantly. 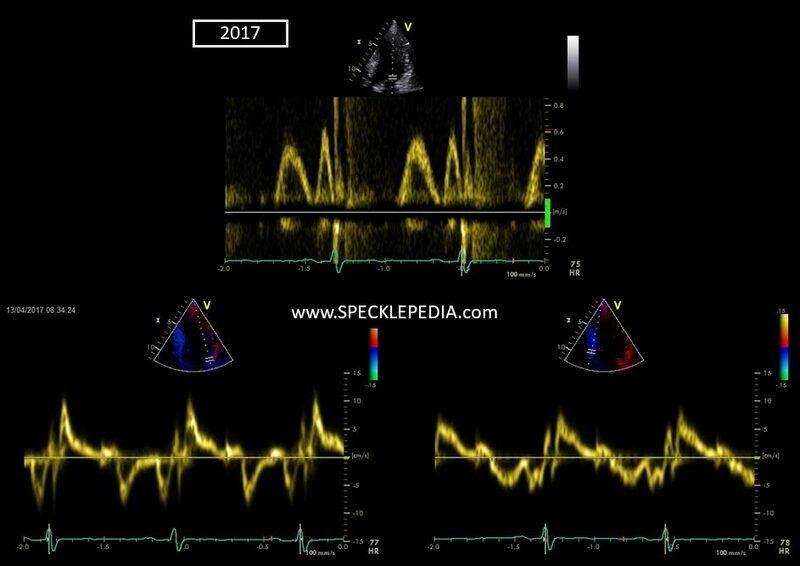 The peak systolic values are less than -10%. This finding is pathognomonic for HCM. 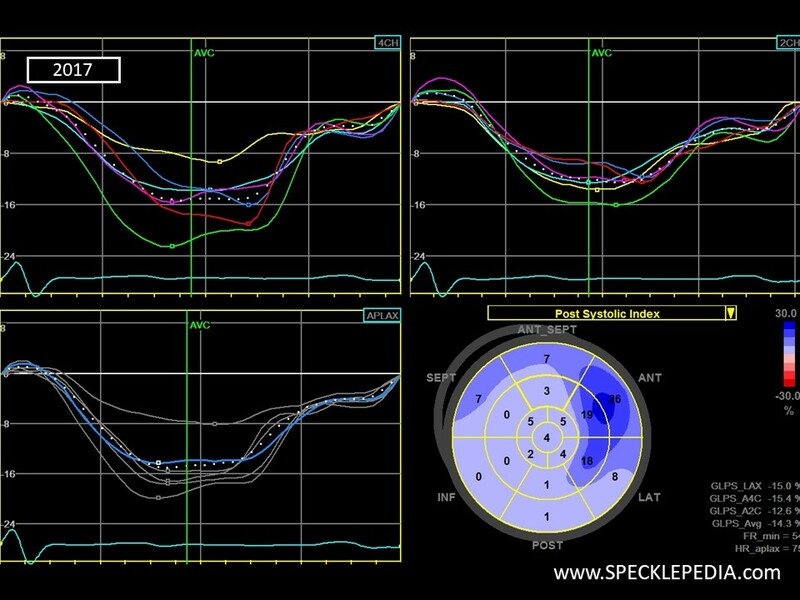 Furthermore, there is now also pronounced post systolic shortening in the anterolateral region. The GLS is also reduced to a value of -14.3% while the LVEF remained unchanged at 60%.